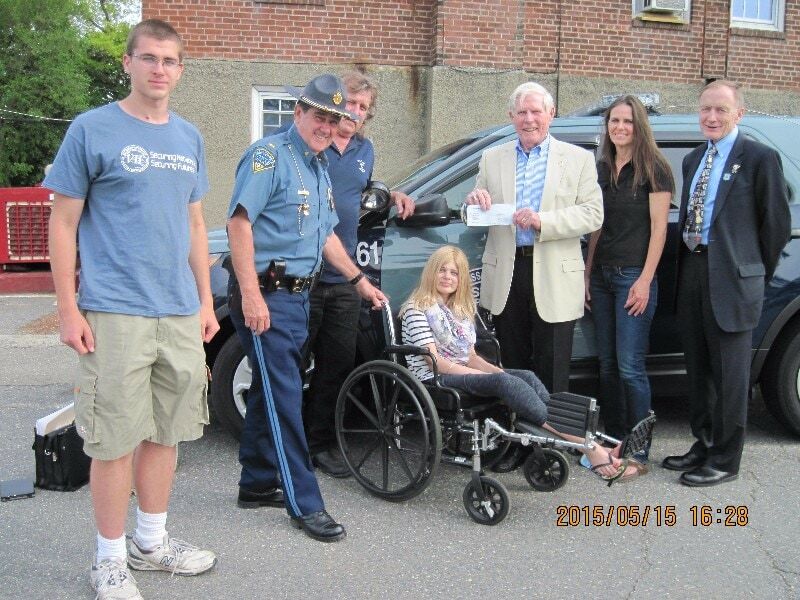 On May 15, 2015, Cops For Kids With Cancer went to the Massachusetts State Police Barracks in Holden and made a $5,000.00 donation to the family of Lynn Aubrey, a 17 year old girl from Worcester who has Neuroblastoma & Osteosarcoma. In photo left to right, brother Bob, Lieut. James Fogerty, dad Robert, Aubrey. Bob Faherty, mom Lynn, and Lieut. Det. Bill Coulter, Mass State Police and CFKWC board member.